See the poster as well, which promises that "You're never too old to get even." The last time Zach Braff stepped behind the camera for a feature film, it was in for his Kickstarter-funded “Wish I Was Here,” about a struggling actor, father and husband who finds himself at a major crossroads. Now, two years later, Braff is directing another feature “Going in Style,” a heist comedy starring Morgan Freeman (“Unforgiven”), Michael Caine (“Hannah and Her Sisters”) and Alan Arkin (“Little Miss Sunshine”). A remake of Martin Brest’s 1979 film by the same name, the film follows three lifelong buddies who decide to knock off a bank after their pension fund becomes a corporate casualty, but soon find themselves in over their heads. It co-stars Anna Margret (“Carnal Knowledge”), Matt Dillon (“Drugstore Cowboy”), Christopher Lloyd (“Back to the Future”) and more. It’s written by Theodore Melfi, who previously wrote and directed the films “St. Vincent” and most recently, “Hidden Figures.”Watch a trailer for the film below and check out the poster as well. This is Braff’s third feature film. His first film “Garden State,” starring himself, Natalie Portman and Peter Sarsgaard, was a critical and financial success following its premiere at Sundance. 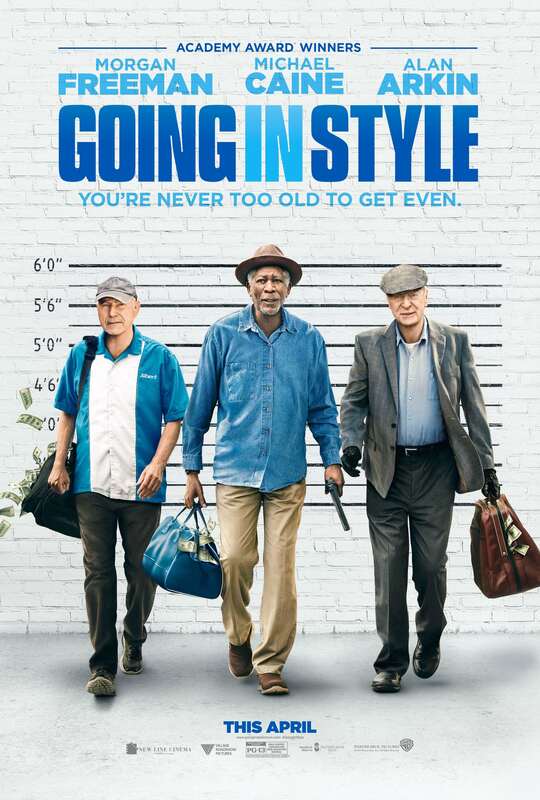 “Going in Style” will be released in theaters on April 7 by Warner Bros. Pictures.